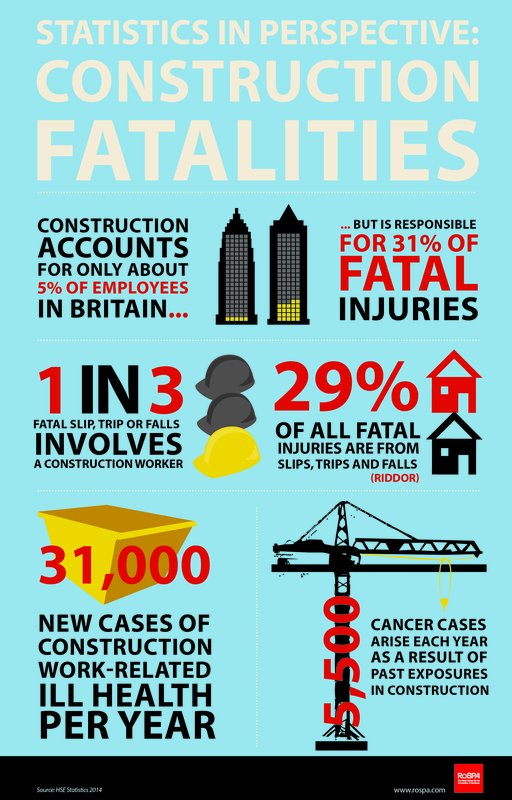 Did you know that in the UK construction accounts for only about 5% of employees, but is responsible for 22% fatal injuries? Or that 1 in 3 fatal slip, trip or falls involves a construction worker? Following our recent MSD statistics post, this new infographic puts these construction safety statistics, and more, into perspective better than words could hope to. Indeed, with 49 fatal injuries to workers and an estimated 1.7 million working days lost to work-related ill health, it remains one of the most dangerous sectors of the UK economy. The construction industry not only remains one of the most dangerous sectors to work in but is faced with some BIG changes to come, so the need for regular, reliable updates are more crucial than ever. Join us and our panel of experts on March 19, 2015 and discover how you can protect your workforce!